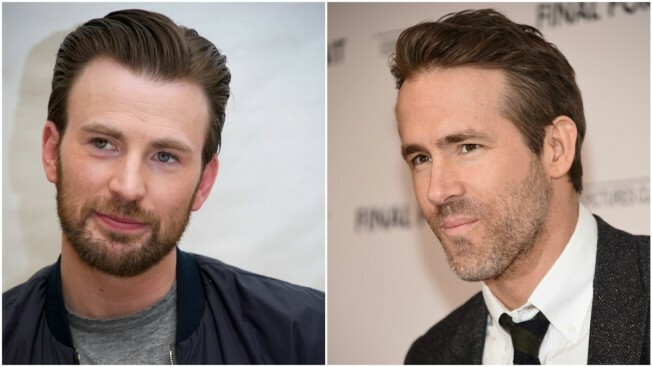 Chris Evans and Ryan Reynolds responded to a call for help, just like the heroes they play. They not only play heroes on the big screen, Chris Evans and Ryan Reynolds play the part off screen as well. Evans, aka Captain America, and Reynolds, star of the upcoming "Deadpool 2," responded to a social media plea over the weekend from "Fox News @ Night" host Shannon Bream trying to fufill a request from an unidentified dying child to meet with a superhero. "Trying to help a young boy who is dying," Bream wrote. "He probably has just days and all he want is a greeting from one of the Avengers. The tweet went viral. And about 20,000 retweets later Bream heard back from a real live Avenger... as well as a "substitute" hero.